Who doesn't love to take screenshots on his/her smart phone? Taking a screenshot can really come in handy, say maybe when you want to show someone something from your device's screen, just screenshot it, and you're good to go. 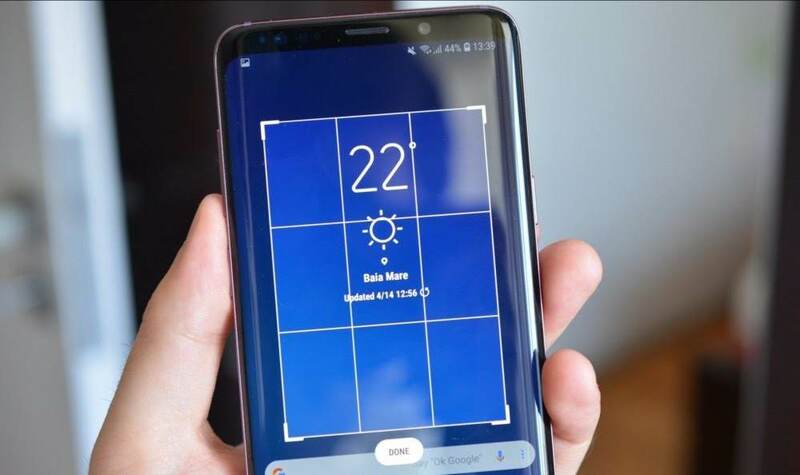 All android phones nowadays, in one way or the other, has a traditional means of taking screenshots, that is by pressing the "volume-down" button, together with the "power key", and like magic, your screen is captured. While some other OEMs might have their own custom means of taking screen shots, say people like Huawei, LG, etc, Samsung also has its own means of taking screen shots on more of their new devices, and this time, i'm not just talking of one separate means, hell no, i'm talking of a vast variety of ways which you can use to take screenshots on your Samsung Galaxy S9 and the S9 Plus devices. 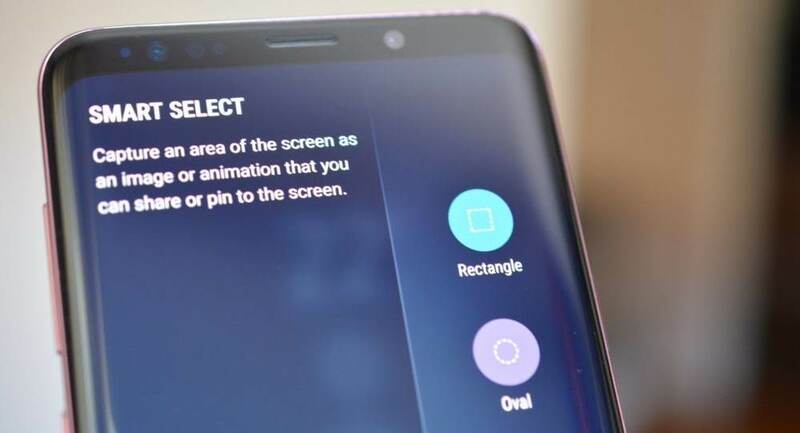 So today, we will be talking about these different methods of taking screen shots on the Samsung Galaxy S9 and S9 Plus, one after the other. PLEASE NOTE - That all of the methods listed here, are also applicable to the Samsung Galaxy S8, and some and not all are as well applicable to other non-samsung android phones, like No.1, and No.6, which we'll be discussing in a short while. Okay, like i said before, some of the methods which will be listed here, can pretty work for all other non-samsung devices, and this one is just one of them, which makes it not relatively new, and nothing special about it. First make sure you are currently viewing the screen you wish to screenshot..
Second is pressing and holding the "volume-down" button + "Power Button", and you're good to go. One more useful feature is that after taking screenshots, you are also given options to further edit and share it. And that takes us to the next method on our list. The "Palm Swipe" feature, is a really nifty tool that comes pre-installed with most Samsung Galaxy Phones, and might come in very handy at a time when you a never expected it to. 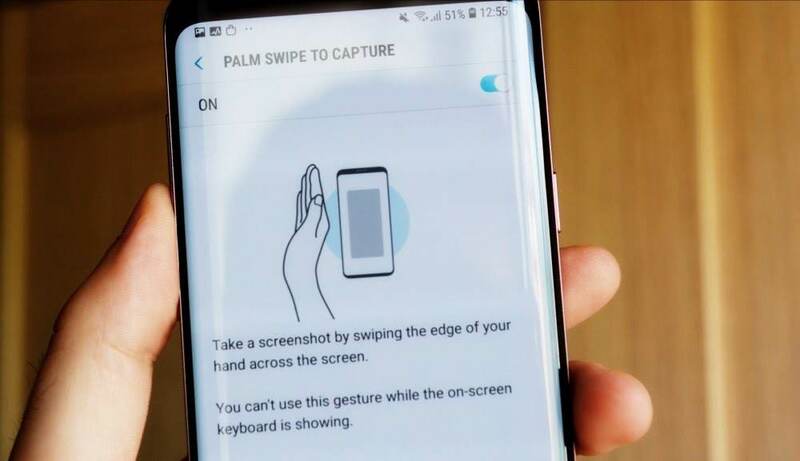 So just as the name is being pronounced, all you just have to do is swipe your palm across the screen of your device, and in a blink of an eye, your screen is automatically captured. As easy as it sounds. So to make use of it, follow the steps below. First of all, you should make sure that you enabled the feature in your device settings menu. Goto Settings >> Advanced Features >> Palm Swipe To Capture, and then turn the toggle on. Make sure you are currently viewing the screen you want to capture. Just swipe your palm across your device's screen, whether left or right, and you're good to go. It also gives you options for further editing, just like the No.1 above. 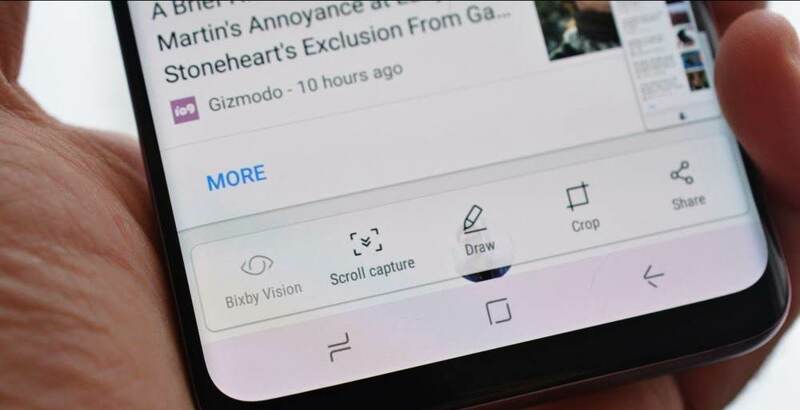 I know probably most people especially those who don't own the Samsung Galaxy S9 smart phone, have not heard of this scroll capture feature, or some persons might have heard and seen it, but just simply ignore it, thereby limiting themselves to one of the many great features that comes with the Samsung Galaxy S9. Now in case you don't know, the scroll capture is simply a feature that lets you capture more than what is visible on your screen. Lets say you want to capture an entire webpage, so instead of having multiple screen shots due to what your screen could contain, you just simply scroll capture the whole webpage at once, into a single screen shot. Something like this. Second is first taking a regular screen shot, from the point where you want the scroll capture to begin from (cause it goes from up, to down). After taking the screen shot by using any of the means already listed out in No.1 and No.2 above, then from the list of editing options presented to you, select the "Scroll Capture" option, and keep pressing it, the more you press, the more it captures your screen downwards. And when you feel like you are done, simply save the photo, or share it, and that's all. Now for those who don't know, of which probably many people knows already, Bixby is Samsung's own branded virtual voice assistant that first came with the Samsung Galaxy S8 back in 2017, and now it made it second debut on the galaxy S9. So with just a simple voice command like "Hi Bixby, take a screenshot", and you are good to go. 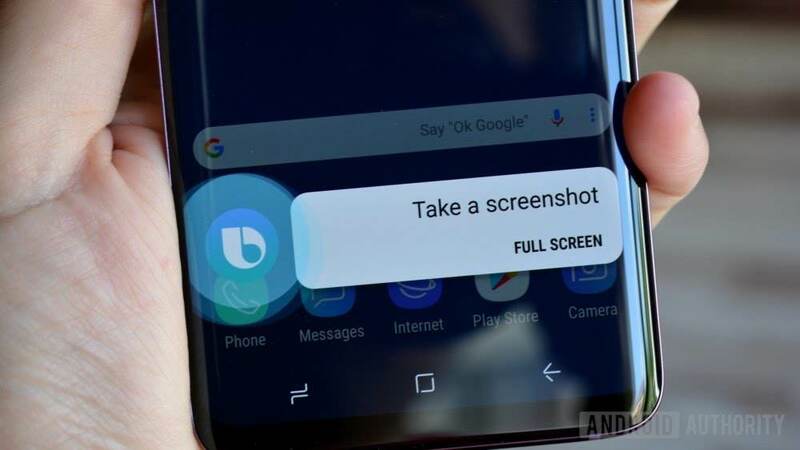 You can even make two commands at once like "Hi Bixby, take a screenshot, and share it to (Any of your contacts you mentioned), the screenshot will be captured, and the needful will be done. 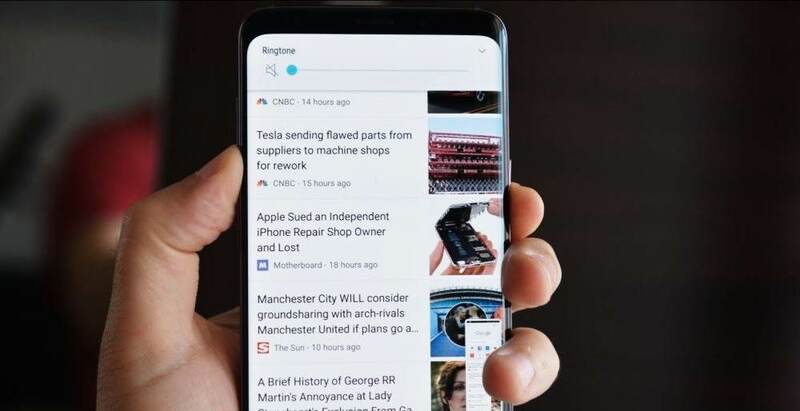 Or even if you are not a fan of saying "Hi Bixby" all the time, you can use the bixby button which is provided directly below your volume rocker button, just long press on it, and say your command. So in practical steps, all you have to do is..
First make sure that you activated Bixby Voice command by going to Bixby Home (swipe to the leftmost page of your home screen, or press the Bixby button just once) >> Settings >> Voice Wakeup, and turn the toggle on. Say "Hi Bixby" for voice activation, or long press on the bixby button for non-voice activation. Say "Take a screenshot", and that is all. 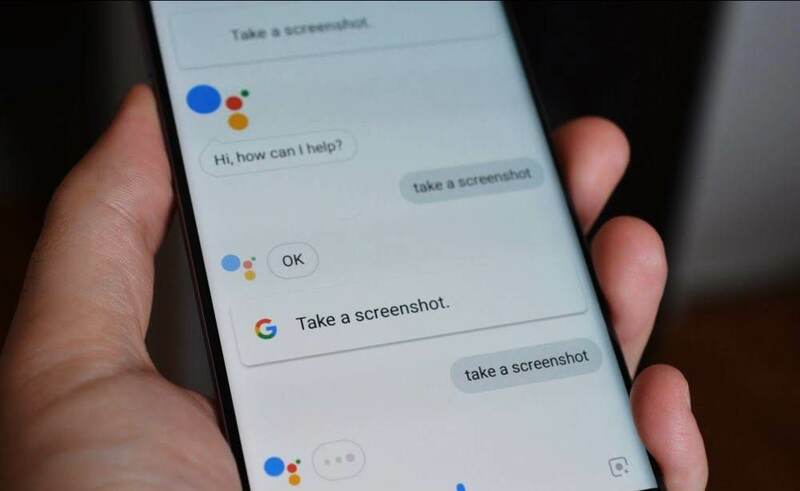 Crop it to the portion of screen you want to capture, and select "Done"
Okay we already talked about Samsung's own Bixby voice assistant, and now lets talk about taking screen shots with Google Assistant. All you have to do is this..
First of all, you can either use the voice activation method by saying "Hey Google", or make use of the non-voice activation method, by pressing down on your device's home button. or simply type in the same command by using your device's keyboard. 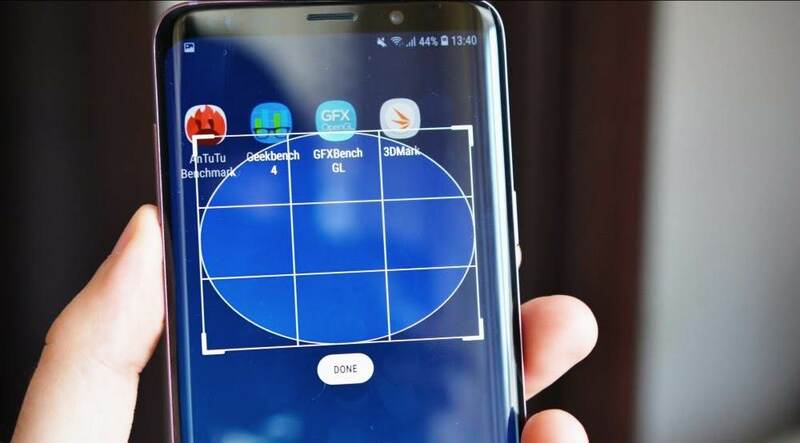 So guys, that is pretty much everything we have today for taking screen shots on your new Samsung Galaxy S9 and S9 Plus device. Tell us which method suits you best in the comments box below. And don't forget to keep sharing the good news, and subscribe to our newsletter if you've not done so already.